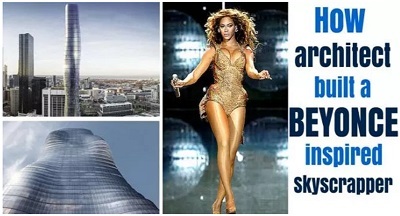 A 78-storey skyscraper inspired by pop star, Beyonce is due to be built near Melbourne’s Southern Cross railway station, offering up apartments, retail space and hotel rooms. “For those more on the art than science side, we will reveal that the form does pay homage to something more aesthetic. We’re going to trust you’ve seen the music video for Beyoncé’s ‘Ghost.’” (That’s the one with all the swirling scarves and naked women gyrating in what appear to be giant, skintight socks.) 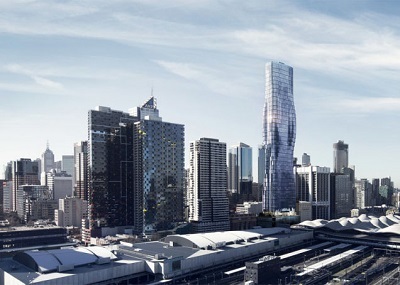 said the architects in the statement. The video mostly features Beyoncé flapping a swathe of billowing black fabric in front of a wind machine, and women who look as though they’re struggling to wriggle their way out of skintight sheaths. 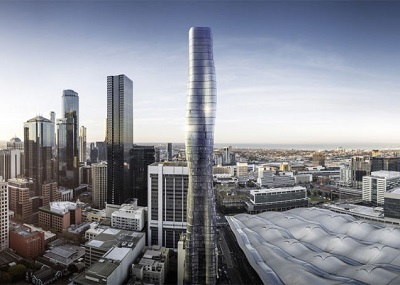 The building’s resultant “twists and turns” have been rendered life-like in a visualisation made by company Pointilism. 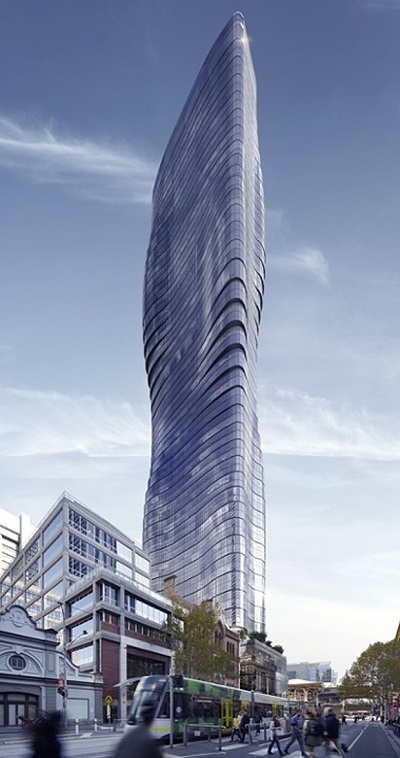 The twisting form of the building was developed using parametric modeling, a computer-aided process that uses algorithms to produce optimized and often unusual shapes based on specific design parameters. 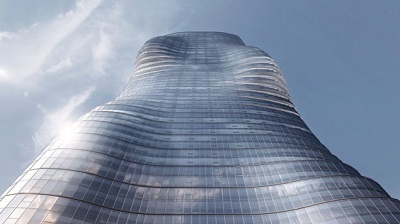 The project has been financed by the Fragrance Group, a real estate company owned by Singaporean billionaire, Koh Wee Meng. A 1970s-era pub, the Savoy Tavern, is due to be demolished to make way for the tower, just months after it reopened in 2014 following a 20-year closure.